Published in the South Kent Gazette, 30 May 1979. This view of the old Guildhall, with its rather odd perspective as in the 1788 print, has a number of interesting features. On the right are several lofty remnants of St. Martin-Ie-Grand together with the upholder’s shop of Val Fuller with a sign depicting a ship on a rough sea. Near the pawnbrokers are the stocks and a striped barber’s pole. It was at this point that properties on this side of the square were separated by a narrow lane leading into St. Martin’s churchyard. The Guildhall itself sports new wooden pillars and windows which were added in 1759. To the left of the Guildhall is the old "Fountain Inn" with a riders’ mounting stool outside. Next door is a building which was later demolished to widen King Street, once a very narrow lane. An earlier deed long in the possession of Dover Corporation provided for a certain tax to be paid by the Ferschip or company controlling the cross-Channel passenger boats, “and that the money arising from those contributions shall be deposited in a certain common chest in the church of St. Martin of Dover.“ This box was placed in the church in 1344. The Corporation having had the use of the church from a very early period, seemed to have assumed that when it was no longer used for sacred purposes they might take it wholly into their possession, but although they, in the reign of Elizabeth, had possession and held on during the whole of that reign, it slipped from their grasp in the Stuart period, and became private property. Two views of a relic of the bath-loving Romans, a 4ft. 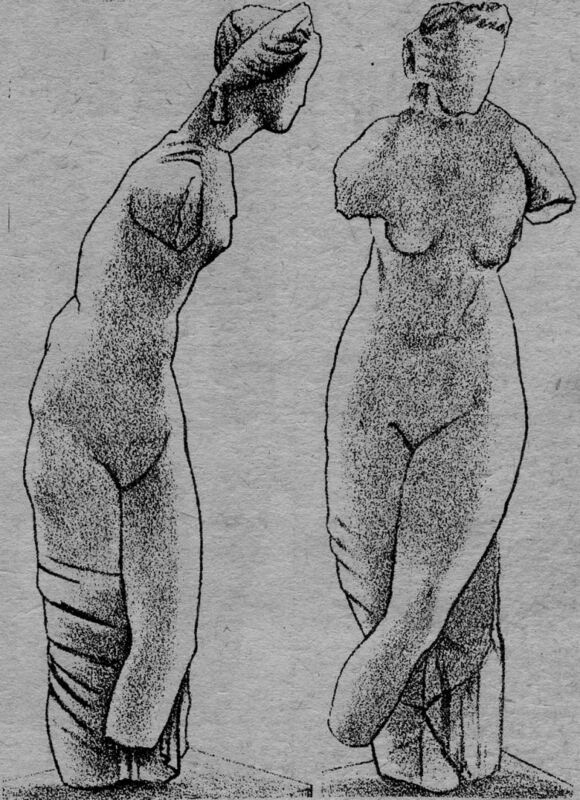 high truncated statue of a nymph which was found while excavating the ruins of a Roman building found below the old Carlton Club.